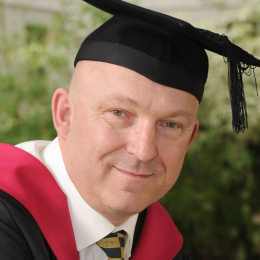 Jon joined us at CLL in 2014 on our 2+2 Degree Pathway, after 30 years out of the education system. Originally working in retail and sales manager roles, the 2+2 has changed Jon’s career pathway significantly and he graduated with a First Class Degree in BA (Hons) Health and Social Policy in the Summer 2018 Ceremony. During his time at CLL he also worked as a student ambassador, promoting CLL and the opportunities at Warwick for people to return to study, working events such as Godiva Festival, Nuneaton Carnival and Coventry Pride. Jon studied his first two years of the 2+2 at North Warwickshire and Hinckley College before moving onto Warwick campus and majoring in Health and Social Policy. "I am very grateful to Anne Grimley and the staff at NWHC for their support as well as all CLL. It is not an easy transition into HE at my age although the best testament is ‘I would do it all again’. Personally, it has been a fantastic journey from where I started to having a degree and ambitions." Jon’s final year dissertation; “What are the barriers mature students face when accessing HE?”, which analyses the inequalities, struggles and experiences of mature students in the HE sector, was submitted to the BCUR in his final term and he travelled to Sheffield to present his dissertation to the conference of Undergraduate Research. Upon graduating Jon gained two scholarships from the University to continue his passion of Social Research to masters level, due to start in October 2018.